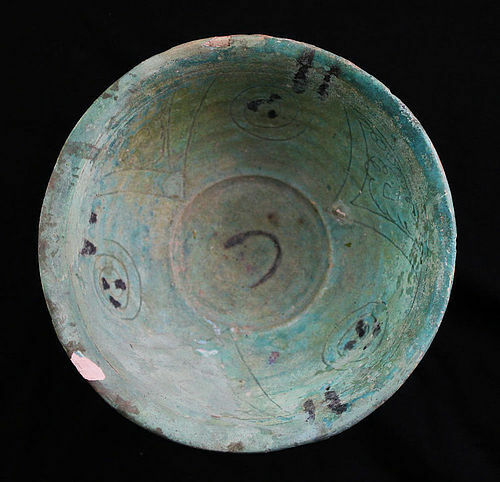 A very nice and interesting bowl glazed and afterwards ingraved, Western Asia, ca. 1100-1200 AD. Torquise glaze and engraved or incised with scrolls and sky-like ornaments. Horseshoe shaped symbol in the center. Condition: Almost completely intact, small area of restauration and chip.